We keep hearing about the impact that the aging Baby Boomer generation is going to have on the healthcare system and the economy. But these conversations often overlook how the aging of the Boomers will impact those closes to them. What do their families do when these Boomers are old enough that they can’t live entirely independently but they are still well enough to have some independence? A lot of people are welcoming their parents to live with them as a way to keep them close yet spare them the indignities of living in an “old folks’ home.” However, their homes may not be quite ready to welcome another person or two – and especially not people who are used to having their own home and making their own decisions about it. If you have an existing basement or attic, renovating it so that it is a livable space may be your least expensive option for creating an in-law suite. The space will already have the right bones, so you’ll likely only need to have your North Phoenix home remodeling contractor add insulation and drywall to make it a livable space. If the room is already drywalled and you have enough space, you might want to consider adding walls to divide the larger space into more than one room. Older adults who have spent their whole lives living independently will likely want to have some sense of privacy and freedom of movement. Therefore, you may want to consider adding a separate entrance to your renovated space. This may be easier to do with a renovated basement space than with a renovated attic space, but it depends on the layout of your home. An experienced mother-in-law suite remodeling contractor in Tempe will let you know the best options. A lot of people like having a garage to keep their car out of the intense Arizona sun and the heavy monsoons. But a garage is really just a luxury. And most people end up filling it with junk that they never use (but think will be useful one day). That is useful space that could be easily converted to create an in-law suite with convenient outer access for independence. The biggest issue with converting a garage will be hooking it up for power, heating, and cooling at a minimum, and possibly plumbing if you want to add a kitchenette or bath to the suite. Some homeowners decide to create a separate power and HVAC source for their converted garage suite since it lets them pin down the costs if they ever decide to rent out the space. They can charge separately for utilities and offer precise billing numbers. By adding a kitchenette or bath to the converted garage, you can make the suite a truly separate living space. You may love your parents or in-laws, but if they are constantly fighting for control in the kitchen or for time in the bathroom, you may run into problems fast. Plus, if you have a kitchenette and bath in the suite, you increase the investment potential for it later, either by renting it out or increasing the value of your home for sale. Most properties have enough room to build an addition onto the home. By investing in an addition, you can create whatever you like in the in-law suite, including multiple rooms, a full kitchen, a full bath, a separate entrance, and a shared entrance. When you plan your addition, make sure you talk with a home improvement contractor who respects the architectural style of your home. If the addition is built in another style from your home, it will look off and bring down the value of your property. If the addition looks too “new” in comparison to the rest of your home, it will also make your property look dated and in disrepair, which will also bring down the value of the property. If you are considering an addition, know that you will spend a little more than the other options, and you may need to invest in some upgrades to your property, as well. Perhaps the easiest way to create the space you need for aging parents or other relatives is to build an entirely new structure on your property. You can hire a contractor to build a small cottage in your backyard or to the side of your property. The cottage can look just like a detached shed, or it can look like a small home. You can design it to be as simple or as fancy as you like and your budget allows. 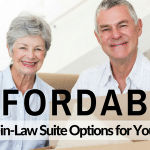 Whatever option you choose for your in-law suite, you must be aware of the code regulations and the permit requirements for your city or county. Your mother-in-law suite remodeling contractor will be able to give you information about things like permits for hooking up to the septic system or for the active phase of construction. Your conversion or update should be built so that you avoid penalty and you increase the value of your property for when you are ready to sell. 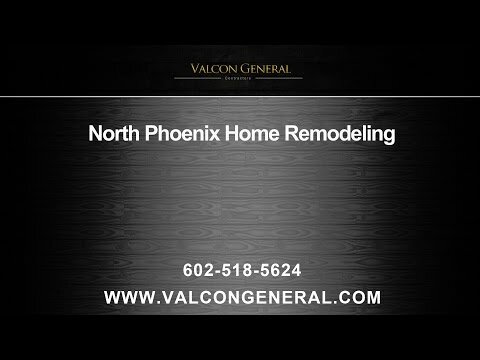 Valcon General is a trusted home improvement contractor in Arizona, and we can help with your mother-in-law suite remodeling. We can handle conversions of existing spaces, or we can design an addition or outbuilding for you. We’ll create a solution that will make this transition for your family a little easier and that will increase the value of your property. Call us in Arizona today to talk with a home remodeling contractor about your options.